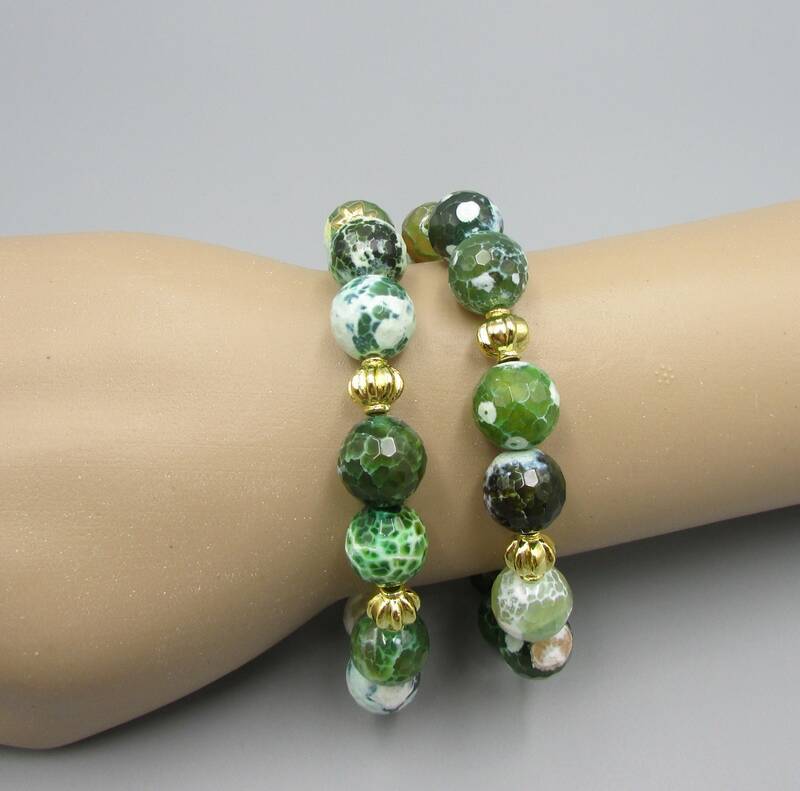 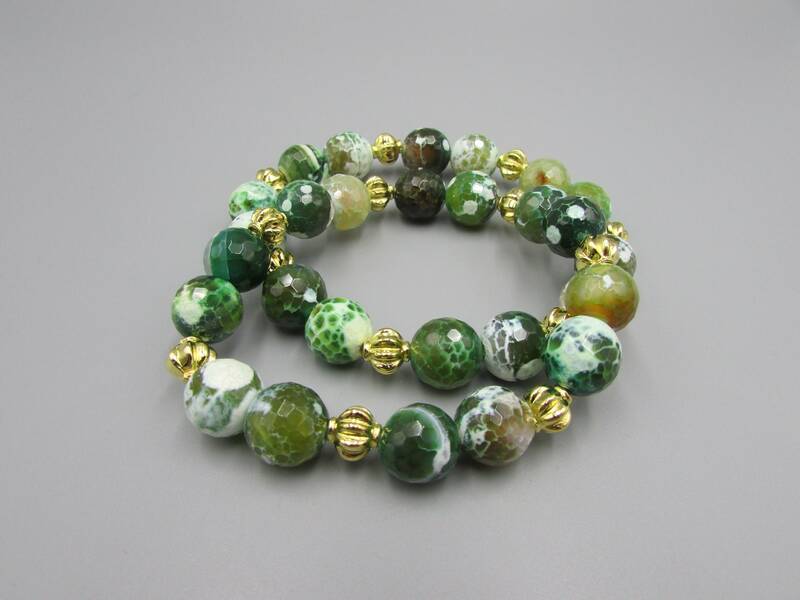 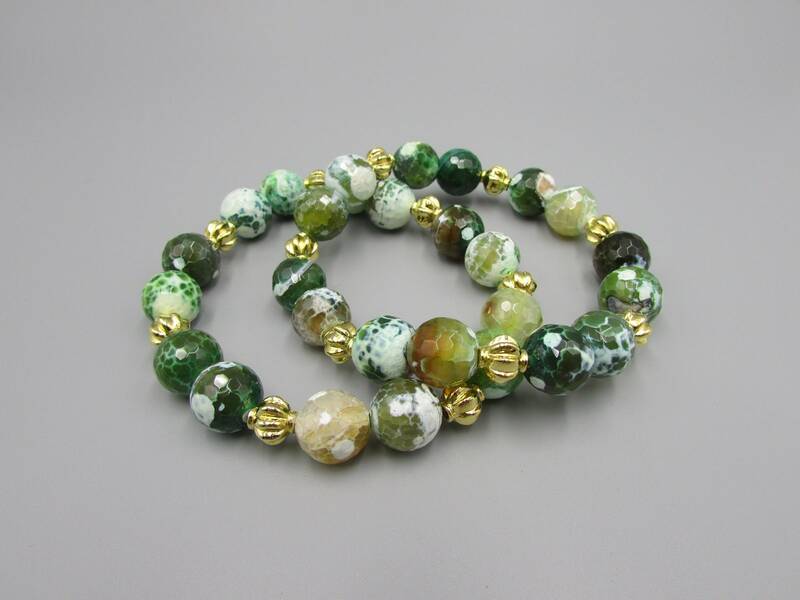 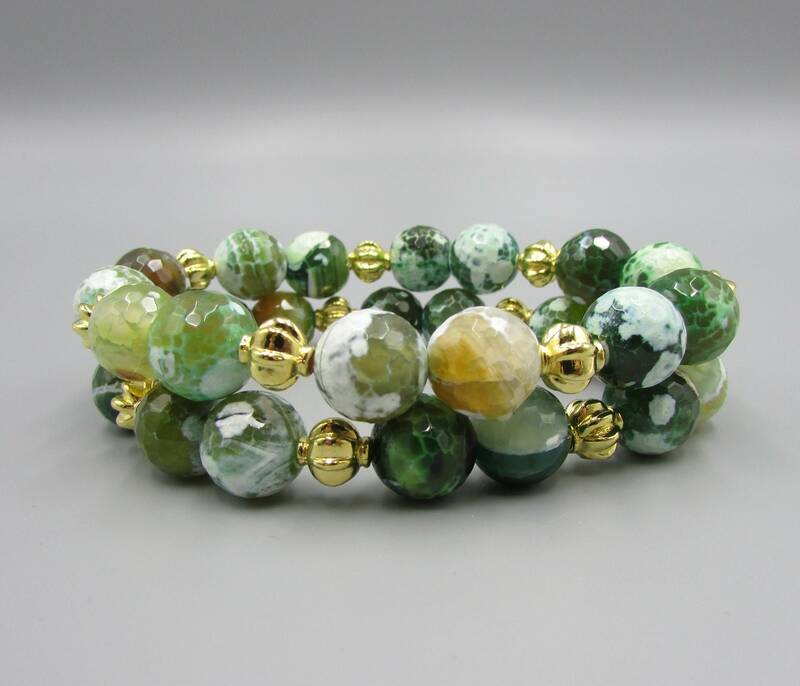 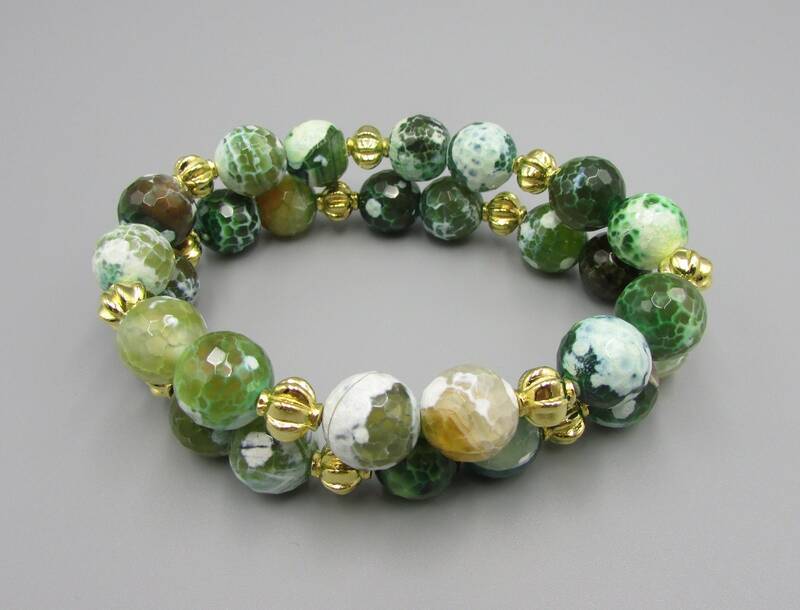 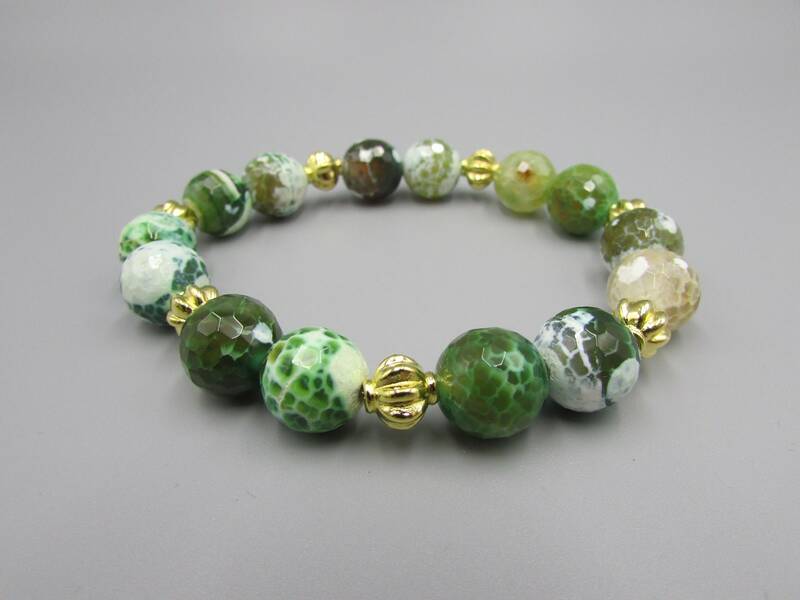 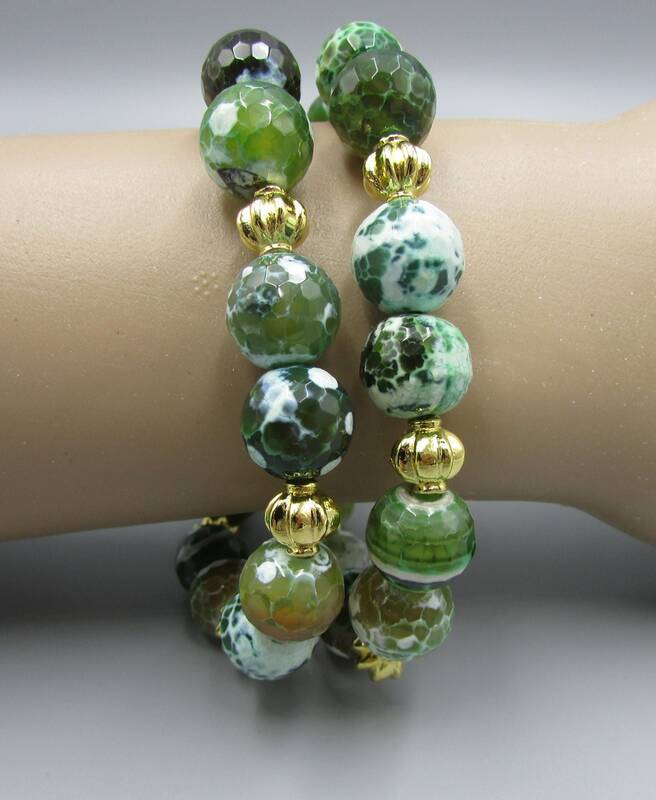 These lovely green agate stretch bracelets are made with 12mm faceted green agate faceted gemstones and 8mm fine gold plated beads. 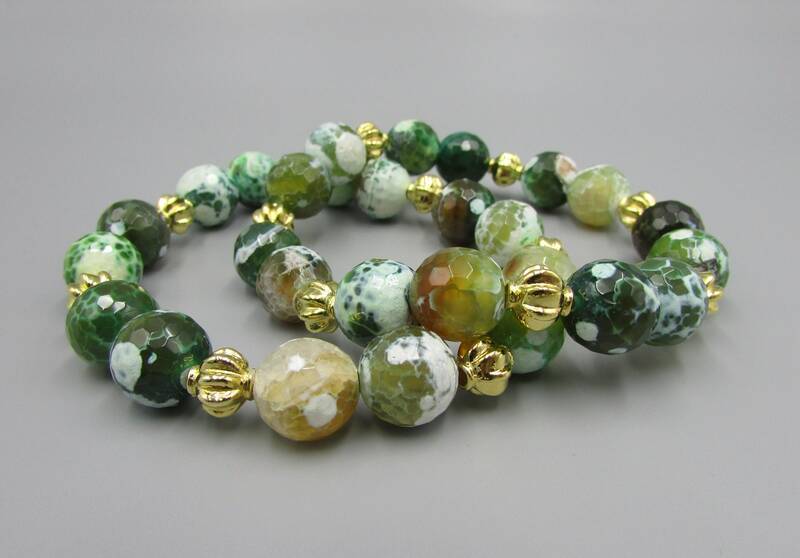 The agate colors are mixed shades of dark green, light green white and clear. 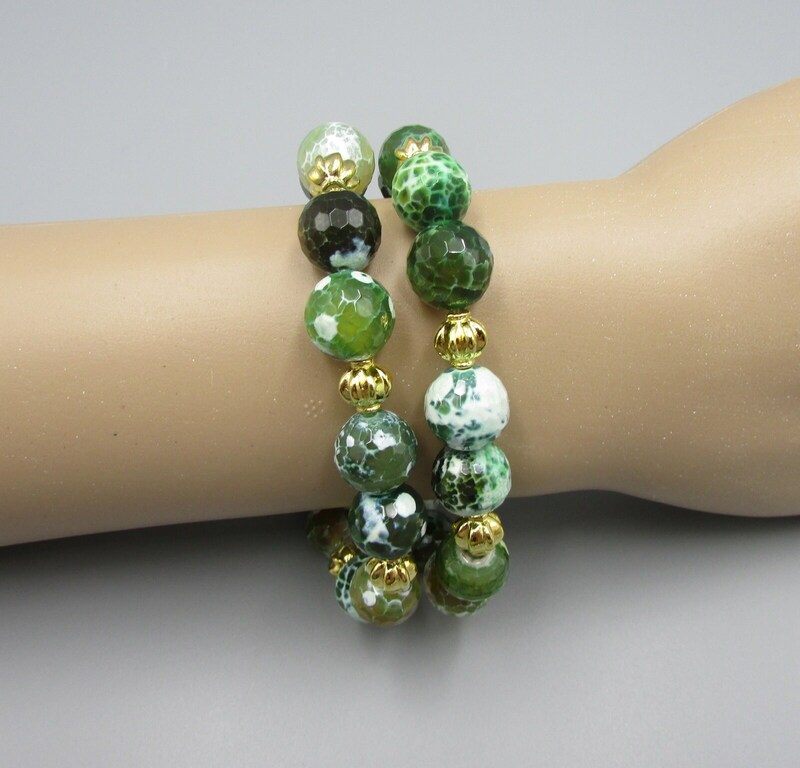 Perfect for stacking multiple bracelets. 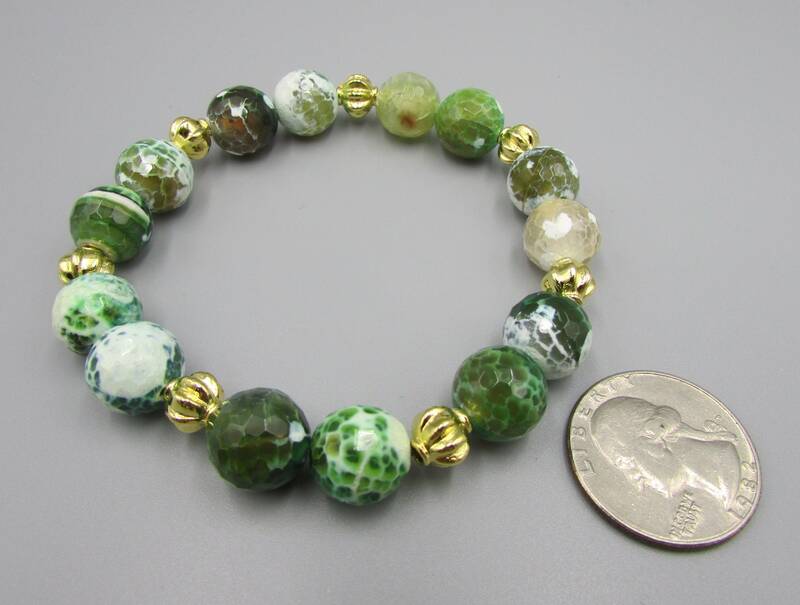 *This listing is for two bracelets.